Here at Anatomy Manchester our physiotherapy team are fully registered with all the major private health insurance companies such as, Health Shield, Aviva, AXA PPP and WPA. For your convenience our administration team are able to send your invoices directly to some of the health insurance company’s. Please check with reception for where this is possible. Over the past five years our team has supplied physiotherapy services to a wide number of companies involved in the Medico Legal sector of healthcare. 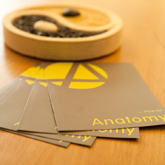 Anatomy Manchester has been chosen by many companies who specialise in motor vehicle accidents to carry out their physiotherapy treatment and rehabilitation. We also work with a number of independent injury claim solicitors in the physiotherapy treatment of their clients who are involved in accidents. Here, as with all our work, our focus is the rapid assessment, treatment and return to full function of our clients.